Livestreaming is not new to American politics in 2019. presidential candidates started using uStream in 2008. But it is much easier than ever before. Recent advances in smartphones and wirelesss Internet access have radically improved the capacity of politicians and civil servants to put what’s happening online and instantly connect with a global audience through social media platforms. After repeated new cycles involving some variant of “Meerkat election,” we’ve hit a new inflection point. Members of Congress, notably Representative Alexandria-Ocasio Ortez, livestream on Instagram and Facebook. Legislators livestreaming protests in Congress are giving us new windows into personal democracy in America. The 2020 presidential campaign will live in high definition on a small screen (very) near you. At a moment when the public has become more connected to our representatives in government in more ways than every before, it might seem out of step with the current of history for a state legislature ban livestreaming public meetings. 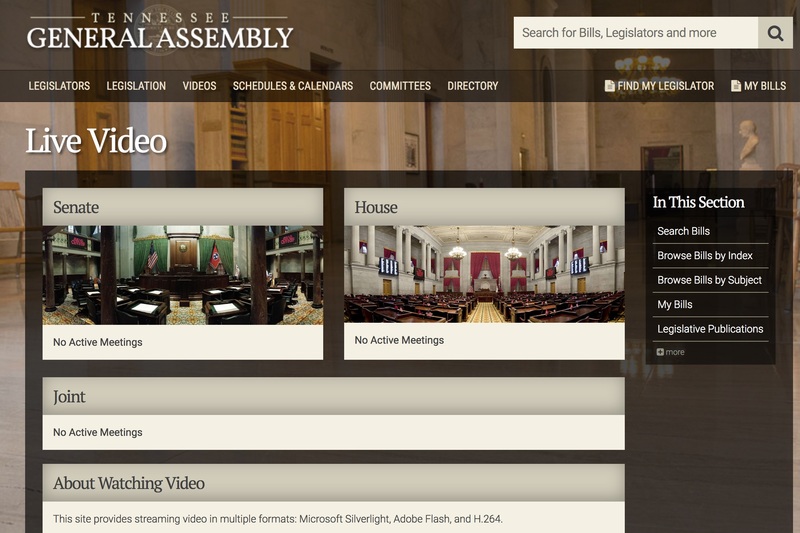 And yet, The Tennessean reports that committee chairmen in the Tennessee legislature are banning livestreaming during public meetings. The Tennessean’s article describes a haphazard process, unclear policy, and an uneven and evolving rollout, with some legislators telling the press and public that they’re still deciding whether to enforce the ban and the Speaker’s office having to clarify that the livestreaming ban won’t apply to journalists. Here’s the wrinkle: The legislature has decided to ban members from livestreaming themselves in committee hearings, if the chairmen decide to enforce the news rules, and, more problematically, members of legislature and the public from doing so in the House chamber. “If it is a disruptive process taking place, whether that means Facebook Live or any other disruptive process going on, then yes, it would be enforced,” he said, clarifying could include members of the public in the chamber’s gallery or lawmakers. It’s unclear if this ban in the chamber will extend to members of the press or to the institution’s cameras, although the implication of the Tennessean’s story is that is not to be the case. To reiterate, then, the Speaker’s office is specifically changing the rules to prevent the members from using their own smartphones or other gear in hearings and putting that public meeting online, for the public to see, but not the press, public, or even the institution itself. There’s limited transparency on what caused the ban: The speaker’s office and chairmen gave shifting explanations at to why, with numerous statements by committee chairs. The Tennessean’s reporting, however, suggests that this wasn’t a reaction about the technology itself, but its use. 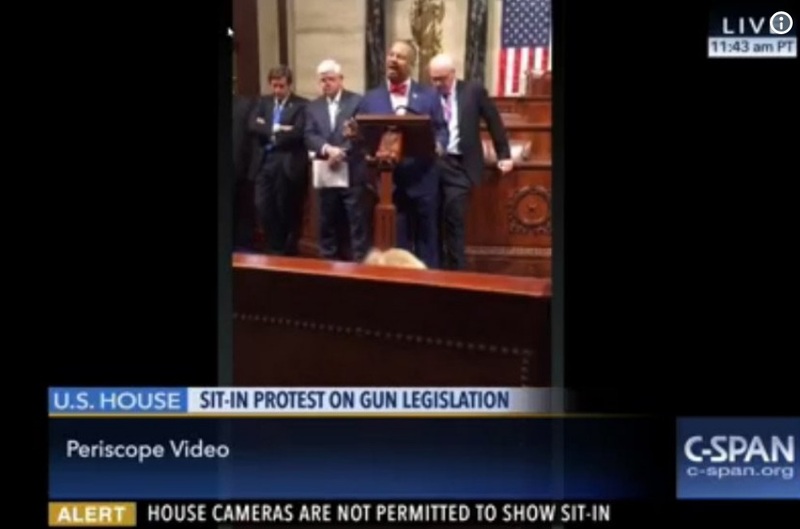 Rather, it may have been a reaction to Rep. Antonio Parkinson, D-Memphis, has been known to occasionally livestream committee meetings in recent years. Who drove the decision to prevent members from livestreaming hearings, or to ban livestreaming on the floor, when, or how, but the reported “snippets,” statements from his staffers, and the rule change itself places accountability lies with Speaker Casada (@GlenCasada / Facebook / speaker.glen.casada@capitol.tn.gov). This is a reminder: The right to record is about power and policy, as Kojo Nnamdi explored in a show on the use of social media by police and the public. Who gets to livestream, when and where isn’t determined simply by advances in smartphones and social media. It’s about who makes the law. The ability of presidents, legislators and judge’s ability to enforce censorship of the public’s view into what’s happening in a city hall, legislature or courtroom, however, is being challenged by emerging technology. Although the rule of law and its expression through police officers remains in force in all of those contexts in counties and countries around the world, the ground is shifting. Livestreaming a public hearing or public protest in defiance of a ban will become more widely recognized as a new form of civil disobedience in 2019. As with other aspects of how members of the public are able to engage in public speech, protests and petitioning online or off using new technologies — all activities, it’s worth noting, that are expressly protected under the First Amendment – the question of whether members of legislatures, the press, and the public have a right to record continues to be a contentious but important issue. While limiting the ability of members or the public to record a legislative session pales in comparison to other abuses of state power, it’s a reminder that updating our rules and laws matters for preserving and defending civil liberties, online and off. If unchecked, even democratic governments will try to both install ubiquitous surveillance of the public and censor the public capacity’s to engage in sousveillance of the use or abuse of power.